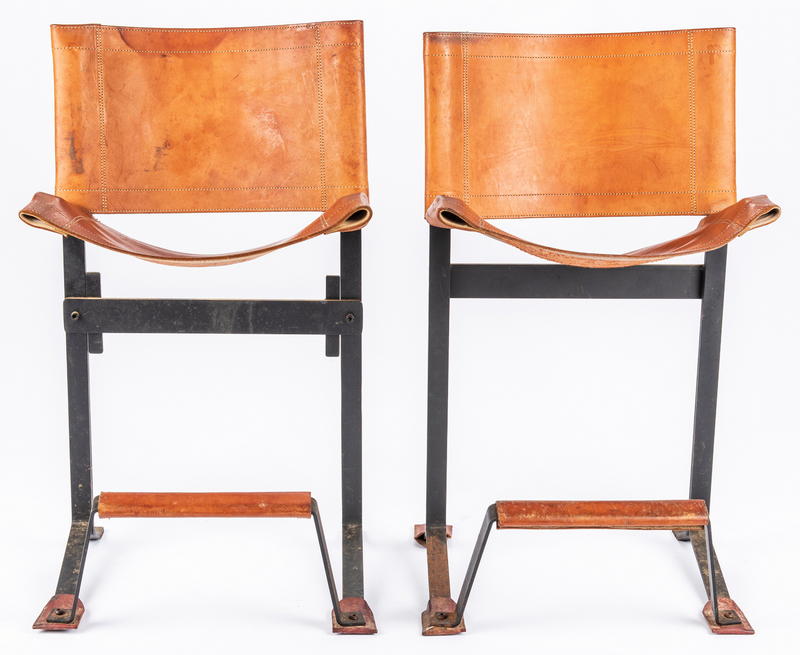 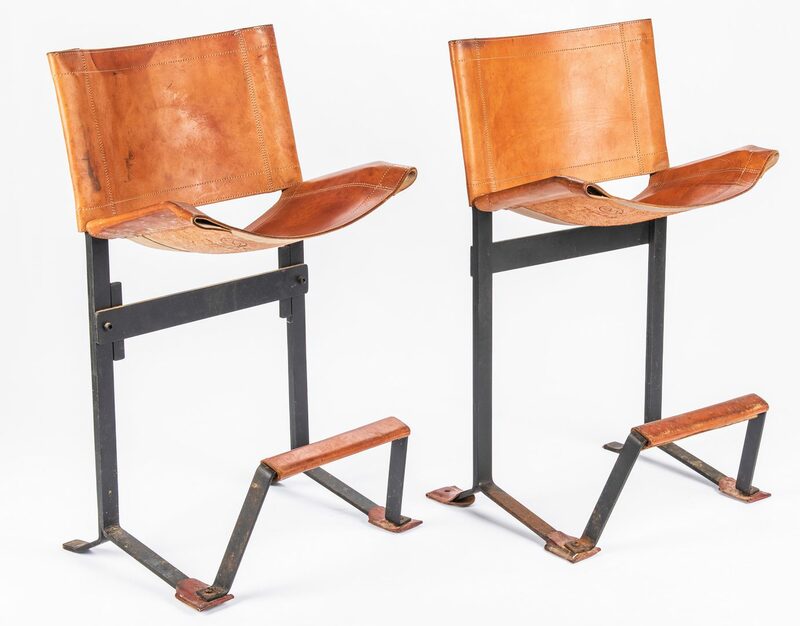 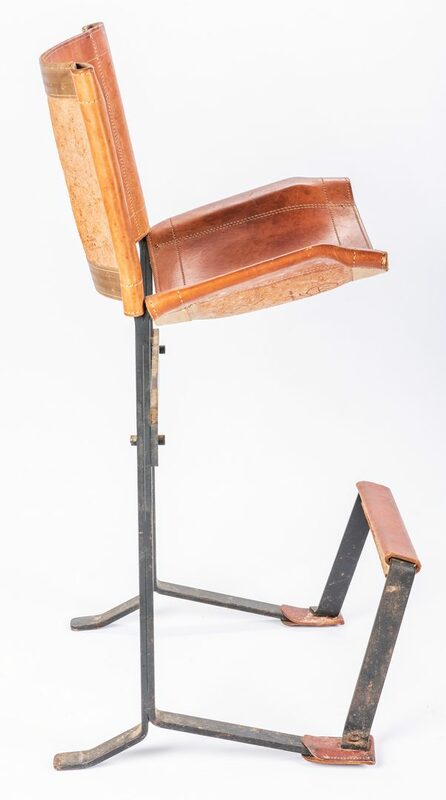 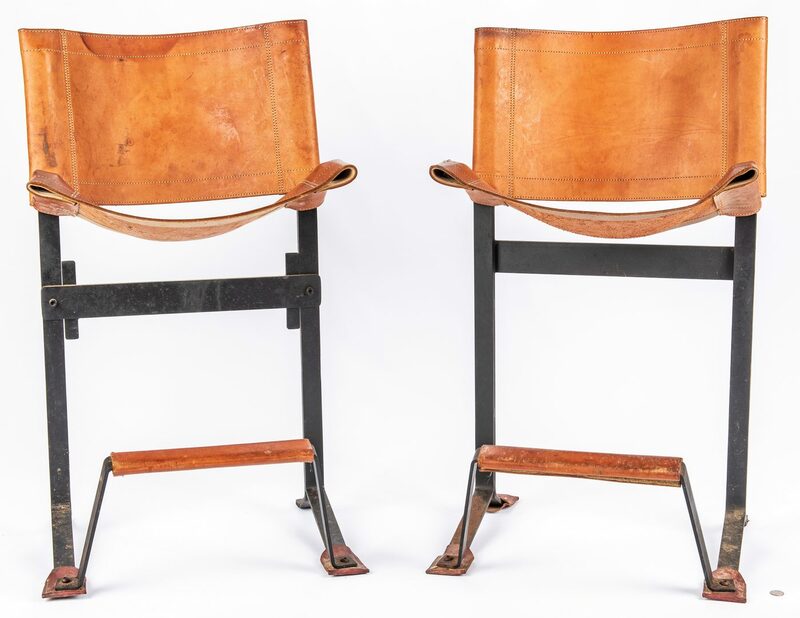 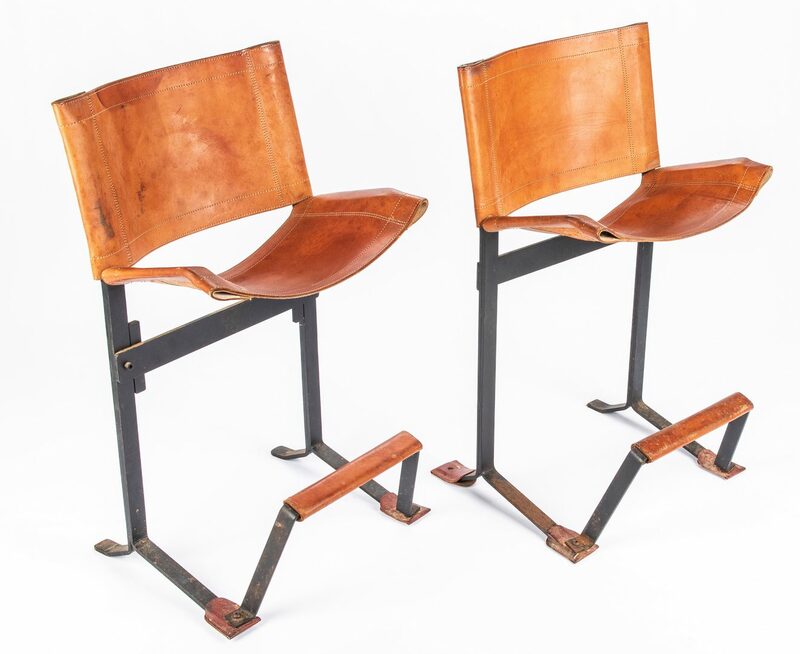 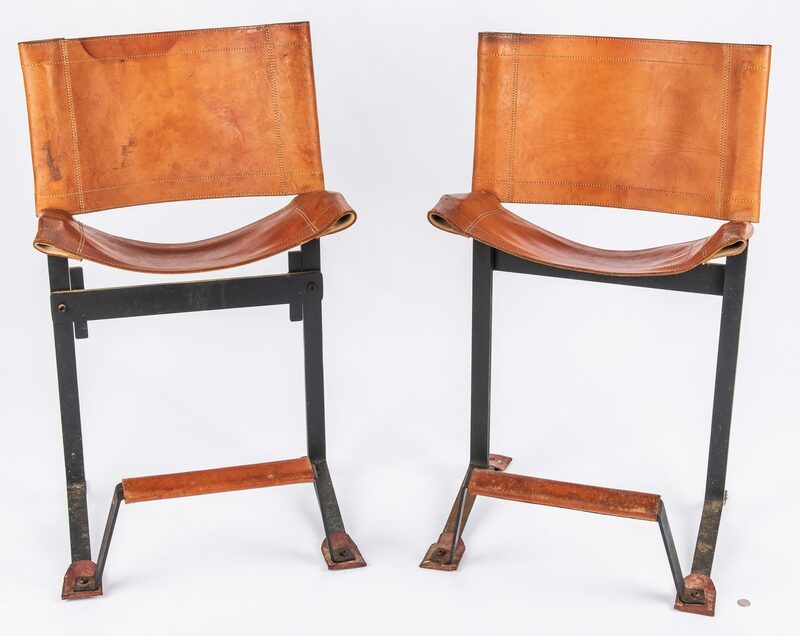 Pair of Max Gottschalk (American, 1909-2005) signed Mid-Century Modern Bar Stools. 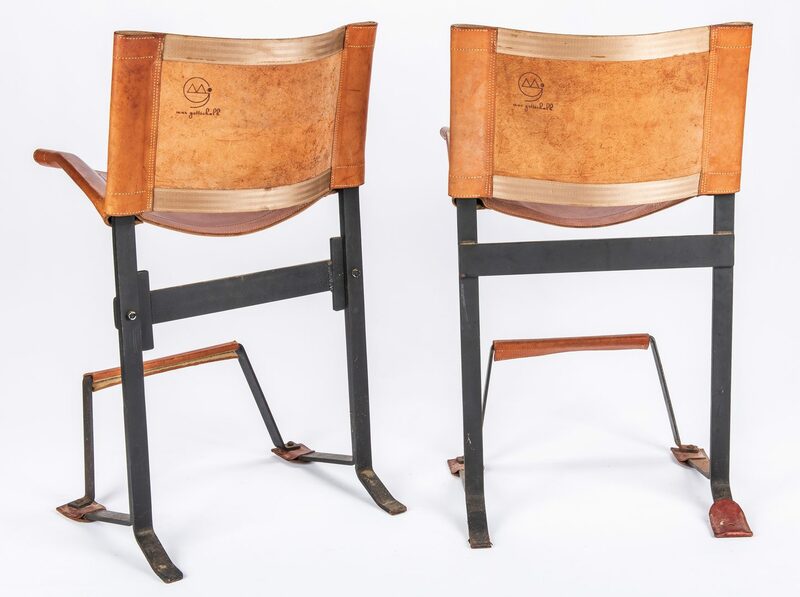 Iron frames, one with variant design to back brace, both with the original leather sling seats, backs, foot rests and foot covers. 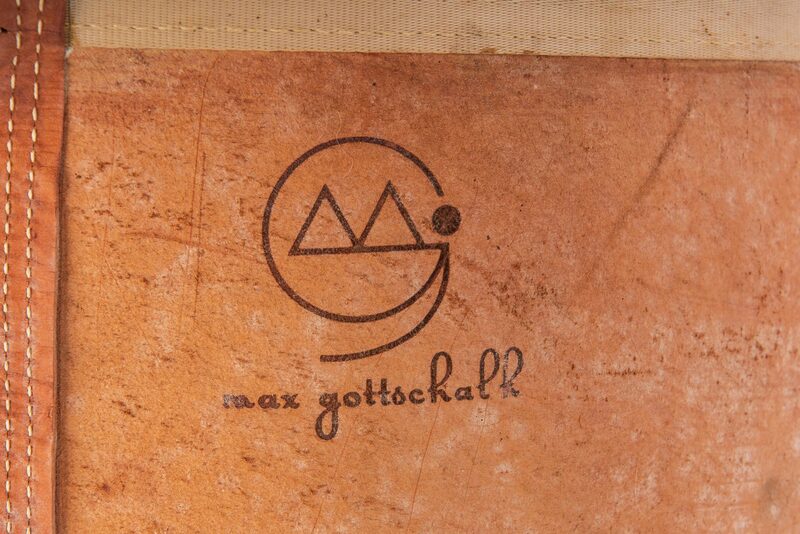 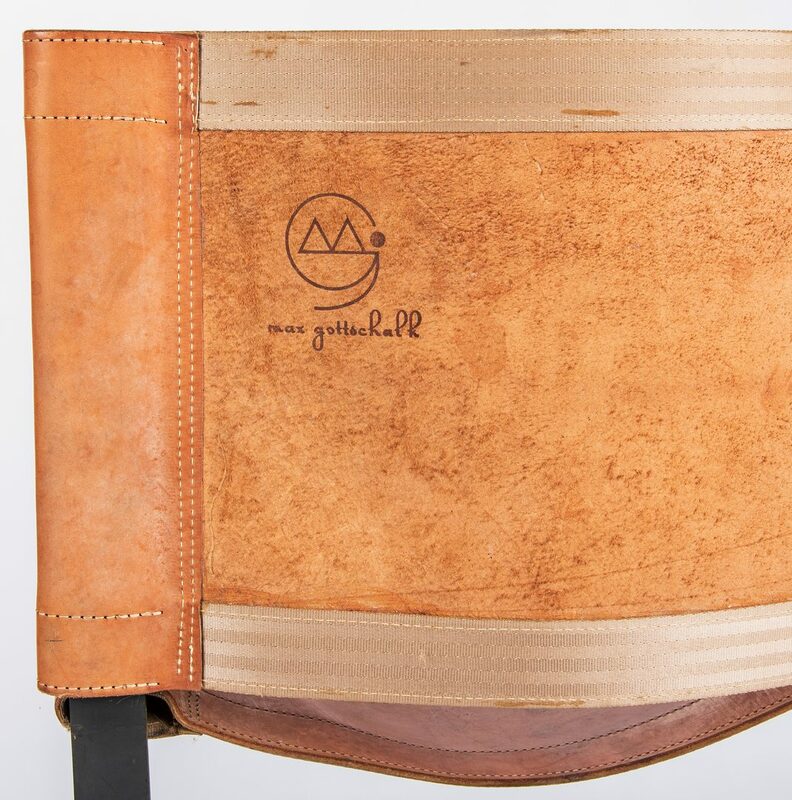 Branded artist cipher and signature to the reverse and underside of each. Circa 1965. 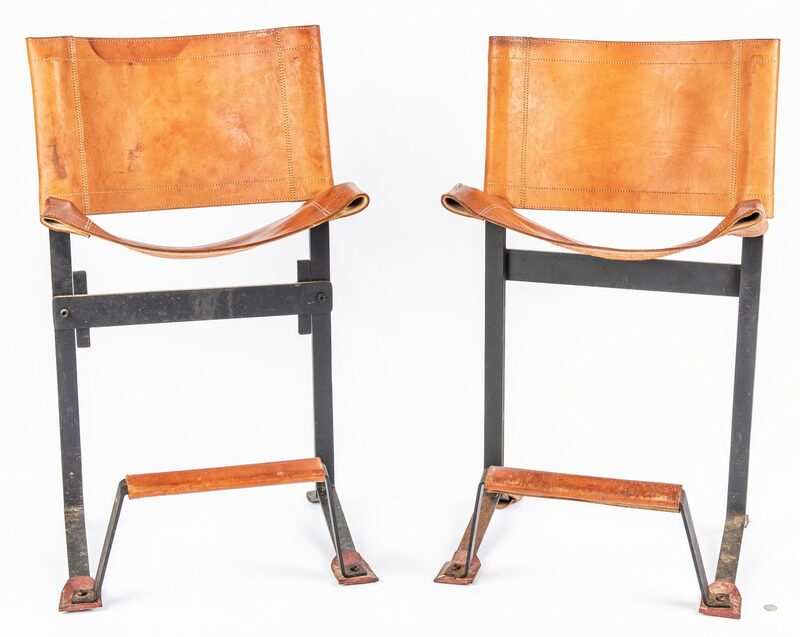 39" H x 22" W x 15" D. CONDITION: Both have some fading, light cracking, wear and scattered staining to leather and oxidation to metal. 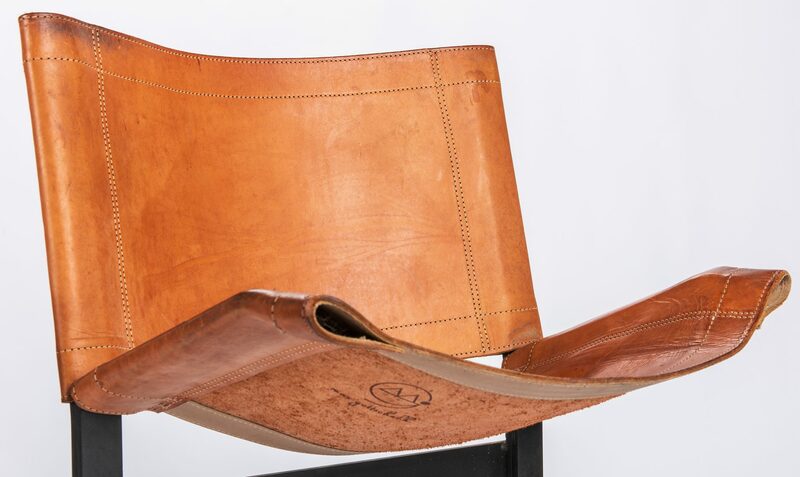 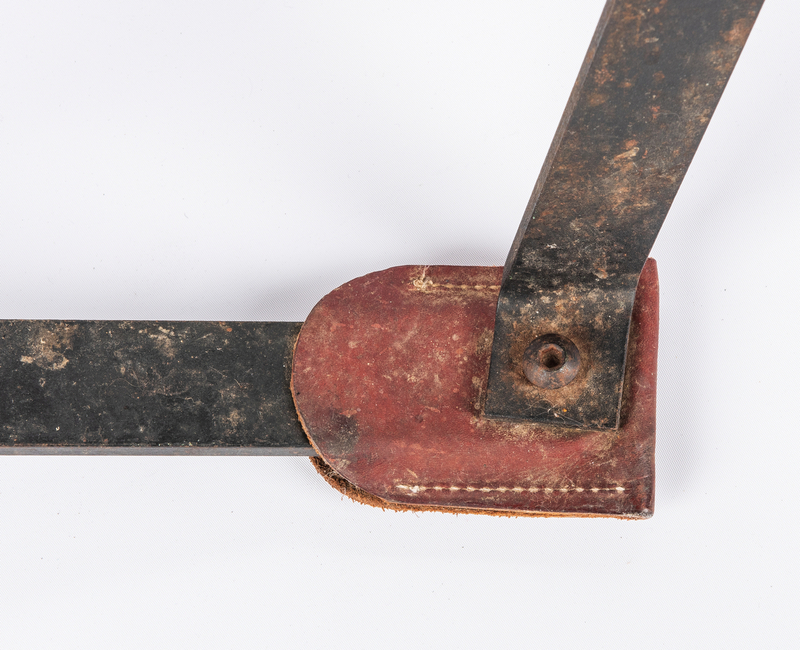 Only one rear leather foot cover remains. 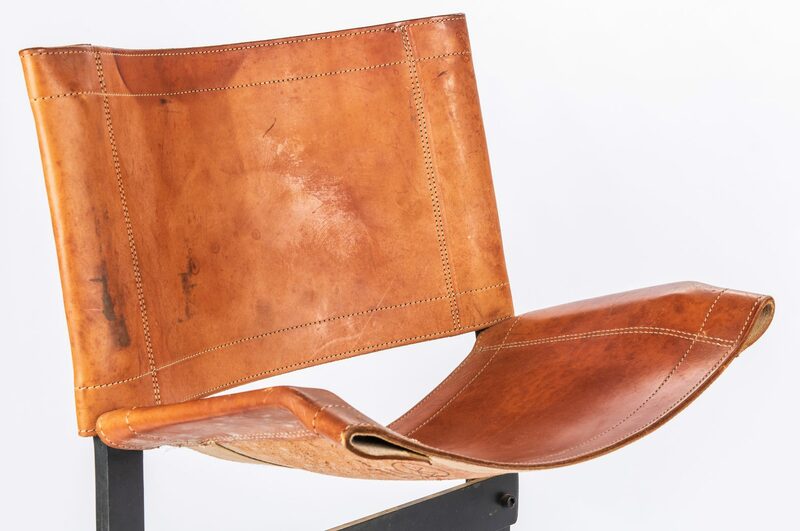 Odor of cigarette smoke remains in leather.